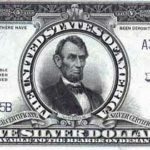 At the turn of the 19th century, two and a half dollars represented a considerable sum of money, five days wages for the average U.S. Mint employee. It was unlikely however, that anyone outside the Philadelphia Mint would see that amount in the form of the new quarter eagle coin: so few were made, and fewer still entered circulation. The denomination may as well not have existed at all. A few large Northeastern banks did occasionally order quarter eagles, but apparently more as a whim than out of necessity, as most remained in their vaults. 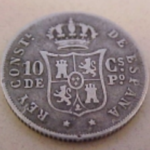 Although authorized by the Mint Act of 1792, by all appearances the coin was an unwanted stepchild: it was the last denomination made, and then only in such small quantities as to be of little use in commerce. The cent, half dollar, and half eagle took center stage during this era they were the real workhorses. The paucity of early quarter eagles has a flip side for numismatists however, as these coins in their many variations are among the rarest in numismatics, and have both fascinated and frustrated collectors and researchers for years. The first quarter eagle – the 1796 Draped Bust without stars was designed by Chief Engraver Robert Scot. 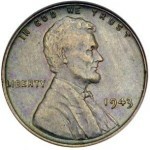 The obverse depicts Liberty facing right, wearing a soft cap, with the inscription LIBERTY above, and the date below. The cap was long thought to be a liberty or Phrygian cap, taken from an ancient Roman model. However, even Mint Director Samuel Moore identified this cap in 1825 as a fashionable headdress of the 1790s, and indeed there are portraits of Martha Washington wearing just such a hat. The coin’s reverse features a heraldic eagle, Scot’s adaptation of the Great Seal of the United States with clouds arcing from wing to wing, enclosing stars, with the inscription UNITED STATES OF AMERICA around the margin. These first quarter eagles lacked stars on the obverse because they were placed on the reverse as part of the new Heraldic eagle design. However, the half eagle and eagle were still using the small eagle reverse, with stars on their respective obverses. Whether due to artistic taste or uniformity of design, the quarter eagle obverse received stars for the last coinage of 1796. With Tennessee’s recent admission to the Union, 16 stars were on the obverse, 8 left, 8 right. After Tennessee was admitted however, Mint Director Boudinot realized the impracticality of adding a star for each new state. Thereafter, only 13 stars were to be used, symbolizing the original states. The No Stars variety of this year stands alone as a distinct separate type, but date collectors generally include it as a part of the extended series. 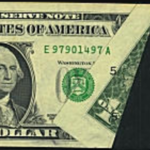 The 1797 issue had thirteen stars on the obverse, 7 left, 6 right. The reverse of the coin though, was from the previous yearit had sixteen stars. Thus began the dance of changing obverse and reverse dies for this design. 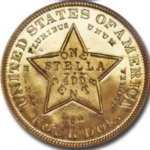 The position of the obverse stars changed almost every year, mimicking the arrangement on the more popular coins. The reverses genuflected within several years, reflecting the Mint’s haste or fear of waste. Reverse stars ranged from thirteen to sixteen, and not in any particular order, at that. Many reverse dies were also used to mint dimes when quarter eagle production was completed. Only 20 examples are believed to survive of the 1797 issue out of a mintage of 427 pieces. The 1798 issue saw two reverses with either four or five berries on the olive branch. The Five Berry reverse is significantly scarcer, but receives little attention, as the date is very scarce regardless of variety. Next came the 1802one of the few so-called “common” dates in this series which is actually an overdate, but very faint. Following was the 1804, with both thirteen and fourteen star reverses. The thirteen star variety is extremely rare and without question the key to the series: Only nine examples are believed to exist in all grades. The 1805 is one of the more frequently encountered issues, but its mintage of 1,781 pieces would certainly thrust this date to the forefront of almost any other series of U.S. coins. There are two overdates for 1806, one over a 4 and the other over a 5, the latter being considerably scarcer. The 1807 is the most available issue of the design, and is generally sought by those seeking a high grade example for a type set. Draped Bust quarter eagles saw production in eight years between 1796 and 1807, totaling 19,487 coins, encompassing eleven recognized varieties. More rarities are in this short-lived series than common dates. Few collectors in recent years have attempted to complete a set of these coinsmost consider themselves lucky to locate a problem-free VF AU example at a reasonable price. The With Stars issue is rarer than the No Stars variety, but it is not as widely recognized, being overshadowed by the No Stars’ significance as a one year type. No proofs were made, but several 1796 No Stars coins have enough mirror-like finish to support the theory that they were included in presentation sets of coins distributed on June 1 of that year celebrating Tennessee’s admission to the Union. Counterfeits are virtually unknown, but there is an interesting piece with a similar design associated with the series the Kettle token. These are actually brass gaming counters made in England, and while vaguely resembling the Draped Bust design, anyone familiar with a genuine quarter eagle will not be fooled. They are dated 1803, a significant date for quarter eagles, as the annual Director’s Report shows a delivery of 423 coins in that year (actually dated 1802). The lack of quarter eagles with the 1803 date makes the dated Kettle tokens an appealing adjunct to the series. Grading this design can be quite a challenge, as striking weakness is often seen in the center of both sides. When such softness is encountered, high grade pieces must be graded by the mint luster remaining. Well-struck coins will first show friction on the cap and the highest point of the hair on the obverse. On the reverse, rub will first show on the wing tips of the eagle and on the clouds. The Draped Bust quarter eagle design was current for eleven years, until Mint Director Patterson ordered John Reich to redesign all denominations in 1807. Reich’s improved design, first used on the quarter eagle in 1808, lasted only a year, and while Scot’s Draped Bust motif may have been retired prematurely, it remains one of the most beloved of all designs on early gold coins. Are my 1884 dollars counterfeit?